The rest of the plan is still vague, but a few days in Paris is definitely on the itinerary for 2015 if all goes well. And so it seemed only reasonable to pick up this useful little guide to walking in Paris when I was browsing in Benn’s Books today. It is such a clever idea: a little box, not much bigger than a cigarette packet, holding 50 cards to slip into a pocket. Each card has a map on one side, and the text explaining the route and places of interest on the other. The map details are big enough for the visually challenged like me to read, and by the look of the cards about places I’m already familiar with, there is enough detail to find your way without getting lost. The text is excellent. Looking at the card for the Louvre, it includes the Metro stop; cafés to revive flagging feet both before and after, and places of interest to look out for. There are themed walks too: around chic and gourmet La Madeleine; a glimpse of Paris at its most decadent and luxurious at Place Vendome; old Paris at the Palais Royal and Galerie Vivienne; the museums of the Marais, and (although I’ve now visited Paris three times, lots of places I’ve never heard of but now long to visit. I would have liked a little more emphasis on literary and artist landmarks, so if anyone knows of a self-guided city walks book for Paris that focusses on those, I’d like to know about it too. Now all I need to do is save up the fare! Or from Benn’s Books Centre Rd Bentleigh, where they also same others in the same series for London and Rome. Edmund White’s book about Paris is decidedly cultural and worth a look – The Flaneur: A Stroll Through the Paradoxes of Paris. He offers ‘walks’ of a very esoteric variety. Yes, that’s a lovely book, I read it some years ago and still have it on my ‘Travel’. bookshelves. It was part of a series and I bought the one about Florence too. What I’d really like is something like the Literary Walks in London book that I’ve got. I’ve got Bloom’s Literary Guide to Paris but it doesn’t have walks to do, and I’ve got The Impressionists’ Paris, but I want something more wide ranging than that, visiting sites connected with artists from different periods and sculptors and so forth. I’m sure someone must have written one! Those Literary Walks in London were just wonderful, I loved every minute of them and so did The Spouse. Ah Paris! I wish. Maybe in a few more years. I love this idea of a little box of walks! Thanks, Lisa. I didn’t know that about Shakespeare and CO, though of course, most bookshops do now, don’t they? I wonder how I can find out in advance who their speakers are…. Lisa, when my sister and I were there, we just checked the website, but I wish I’d known about it earlier because we missed out on a couple of good events—they’re booked to capacity very early. We had to sit upstairs (in a very full room) and listen through speakers to the author downstairs! Dear Lisa, I read all the books that I will never get to read thru you. Thank you. Lisa, you would enjoy “The Flaneur”, by Edmund White, subtitled “A stroll through the Paradoxes of Paris” in the Bloomsbury “Writers and the City” series (2001). Oops, only just noticed yr conversation above with Claire about this book, and didn’t know how to delete. Feel free to junk! I like the sound of your recommendation, I guess I should read the Hemingway first to enjoy it properly? Oh how did I miss this bit of excitement! I can’t wait to hear more about your plans. I haven’t used these card sets, although I’ve seen them about, and was actually looking at the Sydney one yesterday. 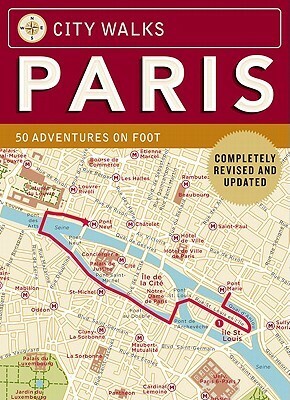 I have a book on my kindle called Forever Paris- 25 walks in the footsteps of Chanel, Hemingway Picasso and more. They have walks for Balzac. Zola. George Sand. Victor Hugo. I’ve read them, but didn’t use any of them. I did take another book, Paris A Walking Tour, last time, and did one walk. I spread it over a couple of days on my walks. It was fun, but I did get lost, well not really lost, but I couldn’t find one building. I’m going back to Paris this year, so will be doing more reading again too. Indeed I’ve started already and am reading David Lebovitz’s Sweet Life in Paris at the moment. You are a charitable woman, Lisa. I will remove myself from the corner. Have you read John Glassco’s “Memories of Montparnasse” which is a wonderfully catty version of Hemingway’s book about Paris. Last time I was there I amused myself strolling around the places he mentions where various contretemps occurred and famous writers behaved badly. You can of course visit Victor Hugo’s house, George Sand’s, Balzac’s, and the Musee Carnavelet where you will see a replica of Proust’s cork-lined bedroom. Zut alors! You can use the Paris tag on my blog and check out the books I read for the last trip. Paris to the Past was fabulous- I’m sure you’d like it. I know you’ve read The Flaneur, but it is worth a reread. And John Baxter has a series of fabulous books about Paris. I’ve read two, and have more waiting in the wings. Have you read The Piano Shop on the Left Bank (Cathart)? I loved that one. My trouble is that I love rural France too, and each time we’ve visited France we’ve spent more of our time (and money) away from the city. We went to the Loire Valley on our first trip, to Avignon in 2005, and to Bordeaux in 2010. There’s always so much to see and do, and never enough time to do it in *sigh*, and you know, just this morning I was lingering over Betty Churcher’s Notebook (the first one) and reading about a detail in one of the Rembrandts in the National Gallery, and wishing, oh, wishing so hard, that I could just pop round the corner from our favourite hotel and have a look to see what she was talking about. I haven’t read The Piano Shop, but I did buy it years ago and have it sitting unread on my Paris shelf. There is too much to do and never enough time, or money to do it all- and it’s just too far away, and too much to get there. I haven’t made it to the south of France yet- I’m sure I’ll kick myself when I do, but the Paris attraction still burns bright for me.